The Center for Economic and Social Rights (CESR) and Christian Aid have published an interesting paper on a set of preliminary global indicators for the SDGs, which was prepared for discussion by the UN Statistics Commission at its meeting this week. For the original discussion paper, click here. For a longer background paper on the proposal, click here. The CA/CESR working paper can be downloaded in pdf format here. 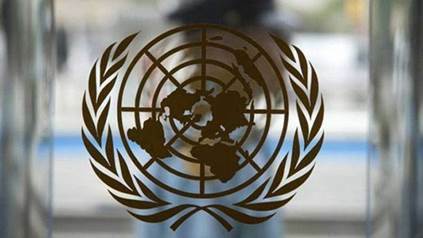 With the post-2015 debate now moving swiftly into the issue of how to measure the achievement of sustainable development goals and targets, the United Nations Statistical Commission – an intergovernmental body made up of chief statisticians from countries around the world – is meeting in New York this week. In response to the list of preliminary indicators that the Commission is considering – and mindful that the indicators chosen have the potential to uplift or undermine the whole post-2015 agenda – the Center for Economic and Social Rights (CESR) and Christian Aid present a working paper outlining illustrative indicators for a ‘post-2015 fiscal revolution’. Our analysis and concrete proposals are based on the premise that a human rights-aligned fiscal data revolution is essential to expose the hidden injustices buried in the way resource-related policies are conducted, and who truly benefits from them. As detailed in the joint CESR/Christian Aid publication, A Post-2015 Fiscal Revolution, the achievement of the SDGs will depend to a large degree on whether governments ensure sufficient, equitable and accountable financing, as is their human rights duty. Properly measuring to what degree they are doing so – through an innovative and holistic indicator framework – is essential to uncovering concealed patterns of fiscal abuse, driving participatory and knowledge-based fiscal policy-making and holding public and private actors to account to their human rights and sustainable development commitments. Such an approach will help in monitoring not only the achievement of the goals and targets themselves, but also the means by which they are being implemented and financed. Drawing on the findings from our 2014 publication, we take this opportunity to assess the ‘List of proposed preliminary indicators’, developed by the UN Statistical Commission in February 2015, and suggest a series of relevant indicators related to Sustainable Development Goals 10, 16 and 17. These draw on and complement proposals made by other stakeholders and are intended to stimulate further human rights-centered debate on appropriate indicators for the fiscal dimensions of the sustainable development goals. 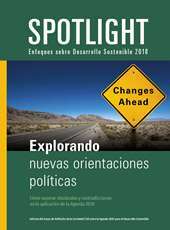 The analysis also outlines where the tools and data sources necessary are already available, and where there is a need to focus our collective efforts and imaginations on finding innovative new ways to assess progress in these crucial areas for social justice, human rights and sustainable development. CESR and Christian Aid offer these proposals as a human rights-centred contribution to the efforts of the UN Statistical Commission and others working to ensure that all governments have the fiscal space and resources needed to deliver on their sustainable development commitments.